BRS Aerospace is coordinating with eVTOL manufacturers and regulators to add one of the most sought-after safety features to this new class of flying craft – a parachute recovery system. Parachute recovery systems have already become popularized through wide-spread inclusion on light general aviation aircraft, such as Cirrus, and have saved 380 lives in the process. Now, BRS aims to add this technology to eVTOLs to increase their safety. BRS President and Director Enrique Dillion stated: “Working with a number of new aircraft manufacturers, BRS Aerospace is at the early stages of creating technology that could make eVTOL aircraft a reality.” The technology would most likely feature a ballistic-deployed drogue parachute that would then pull the primary, full size parachute out of the eVTOL and allow it to land safely. Why it’s important: Potential unmanned flight over densely populated areas is a large safety concern, one continuously cited by the FAA as high standard that must be met by eVTOL systems – the exact same standard of safety that current aircraft in operation today meet. BRS is bridging the technological gap between concept and implementation of flying cars and taxis by providing a critical safety component that will allow for a higher standard of redundancy and recovery should off-nominal situations occur during flight. 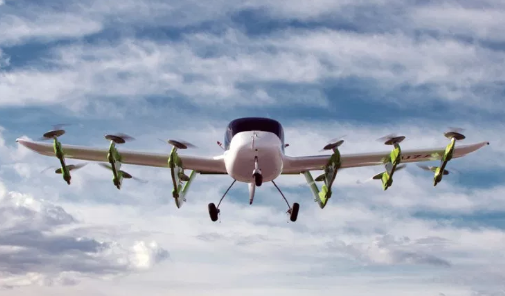 Some manufacturers, like Workhorse, whose SureFly eVTOL had its first flight in early May, already plan on having recovery systems like BRS’s installed on their aircraft. Read our article on the first flight here.